Free underground parking for 2 hours. Plenty of street parking. Disabled parking available also. 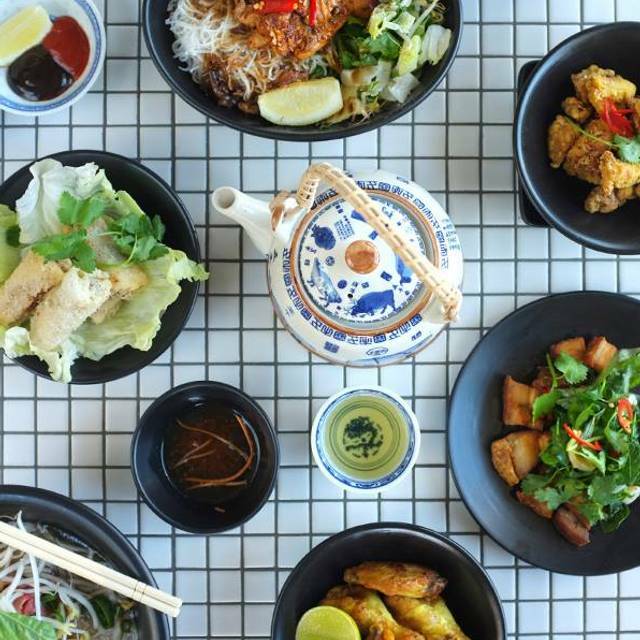 “Bustling with the chatter of diners, the clang of the kitchen and good tunes, misshchu melbourne brings a fast paced hawker style experience to Melbourne diners. Food is excellent. The Rice Paper Rolls were fantastic and I plan to get back there very soon. I had a booking for 8 people and on arrival was told that they had not bothered to check the online booking system so that they could only accommodate us outside. This was a work function so we sat outside until i walked in and found us a couple of empty tables. The food was really good, but arriving one at a time, or two at a time is not acceptable when there is a group booking. It was even more frustrating when food was arriving 30 minutes after everyone else's. Great meal - great value too. Table was ready when we arrived. Prompt service. Delicious Saigon mule. Chilli calamari the dish of the night but everything was excellent. Booked a table for a celebration and the food was fantastic except the service was poor. When we arrived the restaurant was empty, quite surprised for a Saturday lunchtime in South Melbourne so the ambience wasn’t there. The staff didn’t come to our table and tell us we needed to order at the counter so we were sitting there for a while and it was really annoying that they don’t split bills. Food and drinks were reasonably priced and servings were moderate. No table was reserved when showing up, I got even a confirmation. Luckily I got a table for the 8 people that I reserved but was disappointed that I have to arrange table myself.